TrustedCleaner helps you to find the leading specialist cleaning companies in your local area. If you’ve got a problem with mould or dampness in your home or business we’ll help you find a qualified and experienced professional to deal with it safely, efficiently and cost effectively. We are pleased to introduce you to your local professionals. A Melbourne mould remediation and water damage clean-up company who really do stand out from the crowd. 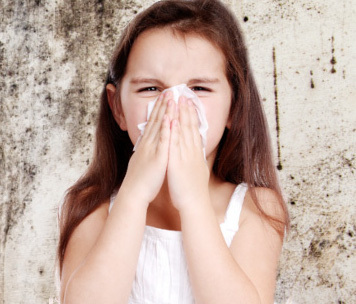 Mould is dangerous, and can have major impacts on the health of your family members, workers, patients or students. It is extremely important that mould is removed by experienced and qualified professionals. Mould Cleaning Australia have a team of highly experienced, fully trained and passionate technicians who go the extra mile to safely and effectively remove mould from your home or business, and make sure it doesn’t come back again! This business has been built on providing a great service at a competitive price. In-fact most of their work comes from referrals – a sign of a company who does the right thing! Talk to your local Melbourne mould removal experts today for a friendly chat or no-obligation quote. This team of professionals works with a number of real estate property managers, home owners, businesses, schools and nursing homes. Take the first step and request a free ‘no-obligation’ inspection of your property. An experienced technician will use the latest technology to identify the source of the problems and recommend how to safely remove the mould and stop it coming back! Capital Restoration provides a quick-response service to customers who experience issues with water, fire, mould or smoke damage to their property. They have over 40 years industry experience and follow the IICRC standards to remove mould and provide remediation advice. 3 Eight Australia is an experienced Melbourne based mould removal and damage restoration company. They are a member of IIRC and use experienced / qualified staff to identify the cause of dampness and get rid of mould from your business or home. With offices in Melbourne, Sydney, Brisbane and Adelaide, Mould Pro operate a network of experienced inspectors and technicians who specialise specifically in mould removal and remediation work. Their service starts with an initial inspection to identify the source of the mould/moisture in your home. An award winning cleaning company with extensive experience in both commercial and domestic work. Trained and experienced in mould removal, odour control, structural drying and carpet cleaning. IIRC certified & member of SCRIA. Perco Cleaning & Restoration have grown to become one of the leading providers of specialist cleaning services throughout Melbourne & surrounding areas. They are fully trained, certified, & trusted by home owners, real estate agents & care homes and government departments. Our featured experts are one of the top mould removal specialists in Melbourne, Victoria. Their team of experienced and fully trained technicians will identify the source of your moisture issues, and safely remove mould from your home, office, school or business. Mould is dangerous, and you should always get the professionals in to remove it from your premises. Most DIY solutions are not effective (& may even make the problem worse), and you put your own health at risk every time you get close to mould spores. Do yourself, and your family/colleagues a favour and call the professionals. They’ve had years of experience, are trained to the latest industry standards and use specialist equipment and cleaning products to not only remove visible mould, but get to the source of the problem and stop it coming back. When you choose a professional they won’t just mask the problem by removing visible mould, they deal with the moisture problems and make sure the air in your home / business is clean and hygienic again. An inspector will visit your property to look at the extent of the problem. Using their experience and training, along with air samples and a moisture metre they will be able to identify the source of your mould. You’ll get a full report which includes an in-depth analysis and a set of recommendations. The next stage involves removing the source of moisture from inside / outside your home. This could be a leaking roof, sub-floor moisture or even external water sources. Once the moisture issues have been corrected it’s time to get rid of the mould. 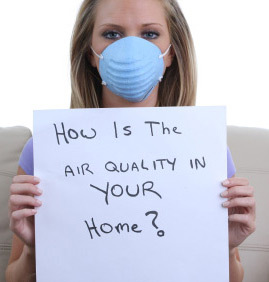 A non-toxic fog is misted in to your home to kill airborne spores, and prevent future growth. Then HEPA grade vacuum cleaners are used to remove mould spores from all furnishings and carpets, as well as walls and floors. A number of recommendations will be made to ensure the mould never returns and your home stays mould free for good! Talk an experienced expert today. They’ll be happy to provide general advice, estimates and organise a time to visit your property.